This may have been the best cruise we have been on. When you combine a great itinerary with the best service we’ve ever had, it puts it right at the top. We loved everywhere we went, but I think our favorite place on the trip was Iceland; it is a beautiful country with friendly people. We spent four days there and every day was better than the last. We also loved visiting Greenland as it was a unique experience that we never thought we’d have. 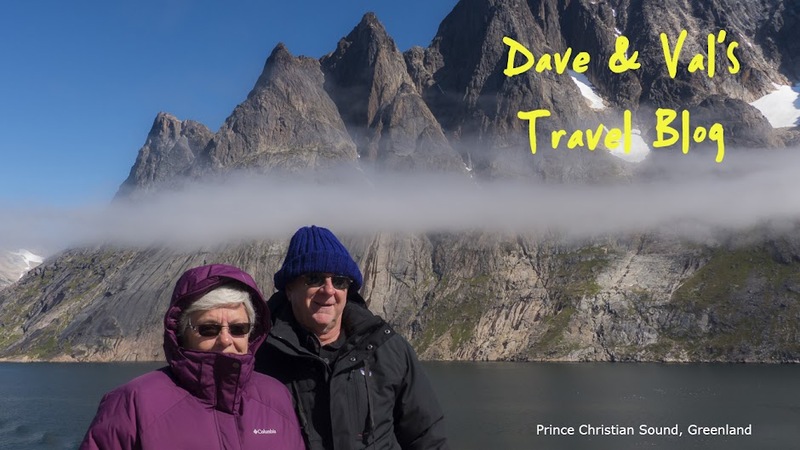 For the sheer beauty of a pristine, isolated wilderness, cruising through Prince Christian Sound was one of the best experiences we’ve ever had traveling. Next in line of our favorite spots would be Northern Ireland and the Isle of Man; our tours through the countryside in those areas were highlights for us. In Ireland we only saw the city of Dublin so we didn’t see much of the countryside so we would like to go back and tour the whole country as we have heard about how beautiful it is. Norway was also wonderful, but we were really limited to what we could see on our visits there. We had a good time in Amsterdam and Rotterdam, but compared to the many of the places we visited it didn’t seem as exciting to see. Our visit to the Canadian Maritime provinces whet our appetite for a road trip we want to take through that area as we just couldn’t see enough of the area with our limited time in the ports. There was nowhere we went that we didn’t enjoy on this cruise, every port had its own unique character and beauty. I now know why this cruise is so popular. The Rotterdam was a great ship to sail on and the staff was one of the best we’ve encountered. Mervin and Celeste in the Neptune Lounge were the best concierges we’ve ever had as they were able to answer every question we had and take care of everything we asked. We also met some really great people on this trip. We enjoyed our dinners every night with Ken and Mary Beth and Richard and Glen. We had a great time in Iceland and St. John’s with LT and Cindy. Ken and Mary Beth take a yearly trip to Monterey, CA in October so we’ll be getting together with them in Big Sur and are looking forward to seeing them again. We also enjoyed all the people we met while gathering in the Neptune Lounge and the people we played trivia with. On a 35 day cruise you meet a lot of nice people that you really enjoy getting to know, which adds a lot to the trip. So now it’s back to everyday life; no one makes our bed or brings us our meals and we have to do our own laundry, but it is good to be home. Val’s cold has turned into walking pneumonia and my cold has developed into an ear and sinus infection, but at least we waited until we got home to get sick so it didn’t impact our enjoyment of the cruise. So that’s it for now. There’s no rest for the weary and in a few weeks we’ll be leaving for Flagstaff, Arizona for our annual “Geezer Gathering”. After Flagstaff we’ll be spending a few days in Las Vegas and then we will be done traveling for the year. See you on down the road.